The first time Ahmed Ali performed a spoken-word poem, things didn’t go too well. He stuttered, forgot the words and, finally, had to stop. But, at the crowd’s urging, he returned to the mic and gave it another shot – this time, with the printed poem in hand. 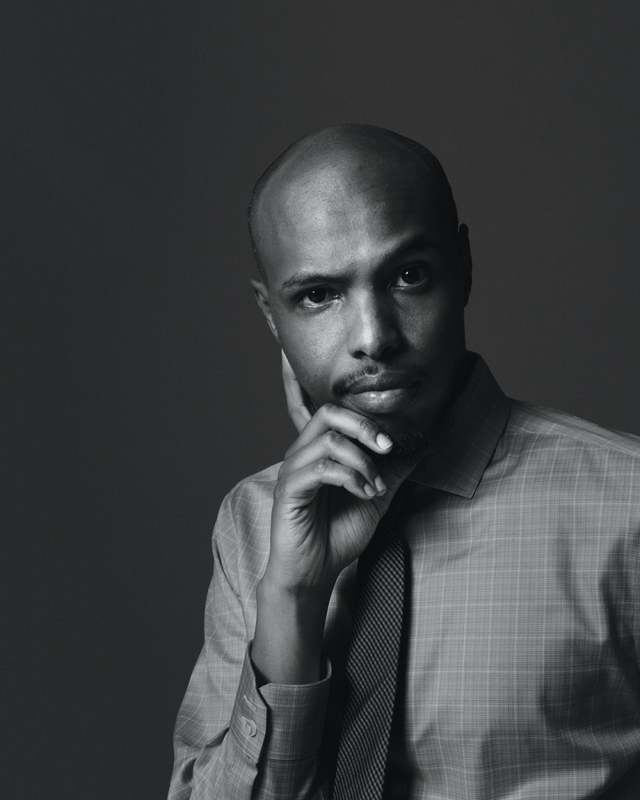 By returning to the stage – not just that evening, but on many other evenings to follow – the Somalia-born poet fine-tuned his performance skills and found his voice. Since then, he’s helped other Edmontonians find their voices, too. In 2009, he teamed up with his mentor, award-winning poet Titilope Sonuga, and several other local poets, to create the Breath in Poetry Collective. “What we were trying to do was foster community. We realized that [arts] spaces grow best when there’s a sense of community,” he says. In 2011, Ali and several other members of the collective won the Canadian Festival of Spoken Word competition in Toronto, putting Edmonton on the spoken-word poetry map. Since 2013, Ali has been thriving as an independent poet in Edmonton, performing and publishing locally and internationally, teaching both poetry and cultural awareness, and now serving as Edmonton’s seventh Poet Laureate. He goes by the moniker “Knowmadic Ali” – a nod to his heritage, as his father was the first in his nomadic family to leave the countryside (he went on to serve in the Somali army and work as a baker). Ali chalks up much of his success to the unrelenting optimism of his parents, who maintained a positive outlook as new Canadians facing poverty and racism (which Ali has also faced at each stage of his career). “Diamonds are formed under pressure,” he says. “I’m grateful because the optimism my parents gave me has been the greatest tool.